Home Insurance Toronto, Compare Cheap House Quotes & Save! You could save $400 or more! Getting Cheap Toronto Home Insurance Quotes Is Easy! Shopping for home insurance in Toronto? Find the right coverage to protect your home, personal belongings, and investment in your property is vital. You never know when a storm could cause damage, you could have water damage issues, or need to file a claim. Home insurance in Toronto ensures you’re financially protected. It’s no secret there are a lot of options to compare home and property insurance in Toronto. Why try to compare quotes and coverage options on your own when a ThinkInsure expert can help you? We’re insurance experts who can help you with all your home insurance needs. Whether you want to get a quote, you are moving and you want to update your information, you want to assess your coverage, or you want to add something to your policy, we are always here to help. We work for you, and we are dedicated to helping you get the lowest home insurance rates. Contact us anytime with your home insurance questions and inquiries. Why Choose ThinkInsure For Your Toronto Home Insurance Coverage? 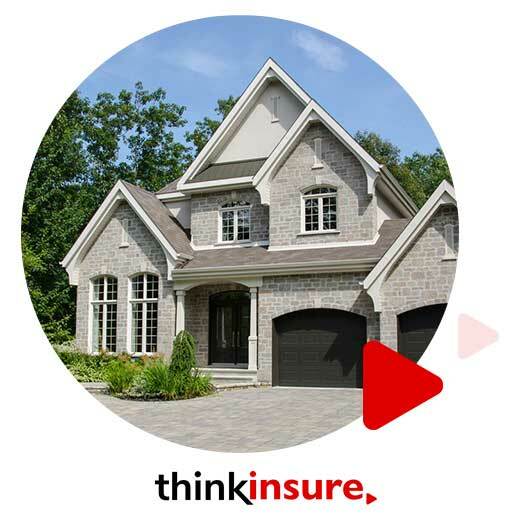 For over 45 years, ThinkInsure has been proudly providing homeowners with the best Toronto home insurance quotes, coverage and service. Our home insurance experts provide savings advice and help you get the best coverage and cheapest Toronto home insurance quotes. Cost Savings : Our goal is to save you money. To do this, we can get you cheap home insurance quotes from 40+ insurance companies in Toronto. Best Home Insurance Products : We have home insurance for everyone. Whether you are a renter, property owner, live in a condo, or are a landlord, we have top quality home insurance products to choose from and ensure you have the coverage you need. Compare quotes and choose the best option for your Toronto home insurance needs. Exceptional Service : You are our top priority. Customer satisfaction always a top priority for us. We are willing to go above and beyond to ensure you are completely satisfied with your coverage and rates. Home Insurance Made Easy : We make things as simple as possible. Did we mention that it’s free? We make the process of getting house insurance easy. With us, you get expert savings advice and the best Toronto home insurance quotes. Start saving by comparing home insurance quotes online OR call us toll-free 1-855-550-5515 and a ThinkInsure broker will be happy to help you save. Toronto is a city millions of Canadians call home. With more than 2.6 million residents, it is the largest city in Ontario and all of Canada. If you include the GTA, there are close to 6 million people in the region. Toronto is made up of a collection of diverse neighborhoods, each with its own unique cultural flavour, local shops and restaurants, and styles of homes. Whether you live in a detached home in Old Toronto, condo downtown along the Harbourfront, townhome in East York, an apartment in Scarborough, you rent a room in the Beaches, or you own any other type of house, we can help. At ThinkInsure, we can meet your diverse Toronto home insurance needs and help you get the cheapest coverage. How Do I Get Cheap Home Insurance in Toronto? 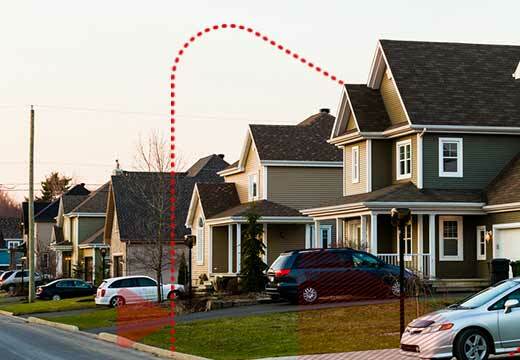 Choose location wisely : The Toronto neighborhood you live in will have a big impact on your home insurance rates. Rates vary by postal code. Compare quotes yearly : Even if nothing changes, comparing quotes annually can help you get the cheapest rates. Increase your deductible : Increasing your home insurance deductible will lower your insurance costs. Increase home security : Most insurance companies offer discounts to homeowners who increase home security. Pay in full annually : Playing your home insurance premium in full will qualify you for a discount. Combine coverage : Bundling car and home insurance will get you a discount on both types of coverage. Stay claims free : A claims free record will help you maintain cheap home insurance rates. Assess coverage needs : Review your home insurance coverage to make sure it matches your needs. Compare quotes regularly : Getting a Toronto home insurance quote regularly allows you to take advantage of cost savings. Each time you compare home insurance quotes is an opportunity to save. Use accurate information : Gather all property and home insurance documents before you get a quote. Having the information accessible is important to get an accurate quote. Get clarification : Have a question about coverage needs? Not sure what a particular insurance term means? Ask your broker. Use a home insurance broker : You’ll have access to unbiased advice from an insurance professional and be able to quickly compare quotes from multiple insurers. And don’t forget to maximize your home insurance savings by bundling your coverage with your car insurance to get the cheapest rates. Learn more about bundling home and auto insurance coverage. Home insurance calculators are a valuable tool to use when comparing homeowners insurance options. Using a Home Insurance Calculator can help you understand Toronto house insurance costs and save money. It will also save you time and give you a better idea of your insurance options. You can use it for all types of insurance, it’s easy to use and best of all, it’s free! What Is The Average Toronto Home Insurance Cost? The average cost for home insurance in Toronto varies greatly. You can expect to pay anywhere from $700 to $2000 annually for homeowners insurance. Does Where You Live In The Toronto Impact Your Home Insurance Rates? Before you move or purchase a home, it’s always a good idea to get a home insurance quote in Toronto to compare rates. 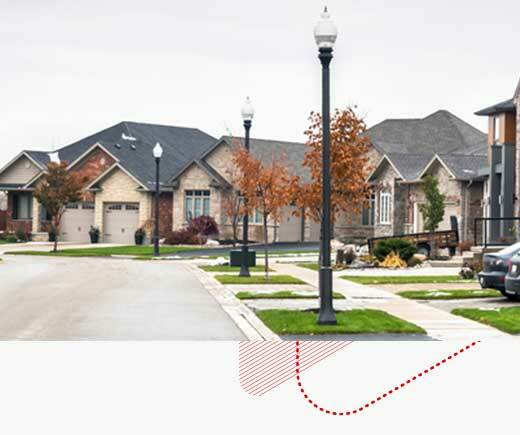 Home insurance is just one of the many factors to consider when moving or investing in real estate in the GTA. Other factors that can also impact the overall cost of your insurance policy include the cost of your home, your home’s primary use, your home’s age, type of heating and electricity, size, and your home’s contents. For example, having items like a pool or trampoline, or running a business out of your home will increase your rates. Want to see if you can lower your Toronto home insurance rates? Contact us today, and one of our experts will be happy to help you get the cheapest rates for home insurance. Canada’s largest, most populated and diverse city covers 641 square kilometres. It stretches 43 km from east to west and 21 km from north to south at its longest points, providing residents with no shortage of areas to look for housing in its many unique and diverse neighborhoods. This still doesn’t account for the 1-3% of your home’s value in maintenance costs each year. Needless to say, it’s expensive to own a home in Toronto. What about renters? The average monthly cost of renting a one-bedroom apartment in Toronto is $1,456.33, or $2,677 for a three-bedroom apartment, according to numbeo.com. 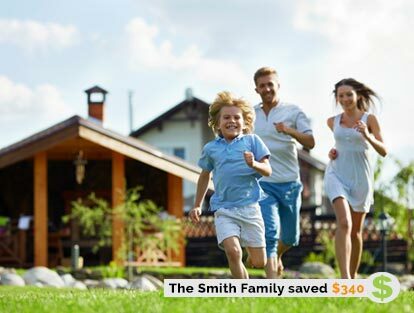 For this reason alone, it’s important to shop around and look for ways to save on your cost of living, with home insurance being one of the best ways to save. Cutting costs on things like home insurance and energy bills will help you save more money overall. If you have a mortgage, then you are required to have home insurance in Toronto. Even if your home is completely paid off, home insurance provides you with that added level of protection to give you peace of mind in knowing your property and personal belongings are covered. Getting the best home insurance in Toronto is subjective. Coverage that is ideal for one household may not be the best for another. This is why we take the time to ensure you get the personalized home insurance coverage to meet your unique needs. Whether you need a standard policy, want to add extra water damage coverage, want to increase your liability coverage or have valuables that require a policy endorsement, our team will make sure you get the coverage you need to have peace of mind. The best home insurance coverage is only a call away. How Much Is Home Insurance In Toronto? Home insurance costs vary based on many factors. Your home size, replacement value, location, and more are all factored into Toronto home insurance costs. Get a home insurance quote to determine how much home insurance will cost for your specific home. How Do I Get Cheap Toronto Home Insurance Rates? The most effective way to get the best home insurance rates in Toronto is to compare quotes annually. Review your policy when it is up for renewal and compare quotes to find additional cost savings. Is Toronto Home Insurance Mandatory? Home insurance protects your home, your belongings and the people you love. But it is not required by law. Banks, financial institutions and mortgage lenders commonly require you to have home insurance in order to qualify for a mortgage. In this sense, it is mandatory. Is Home Insurance In Toronto Required? If your home is fully paid off, you are not required to have coverage. However, without coverage, you are exposed to greater financial risk if damage is caused to your home. Why Do I Need Home Insurance in Toronto? 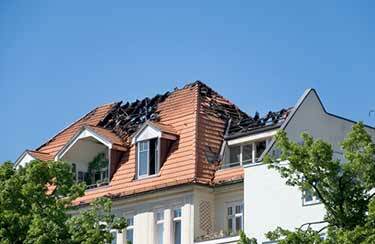 You need home insurance to protect yourself against common risks and liabilities. Storm damage, theft, vandalism, and even a slip and fall accident could have a major financial impact on you if you didn’t have home insurance coverage. How Much Home Insurance In Toronto Do I Need? Home insurance needs vary. Some homeowners require basic coverage, while others require higher coverage limits and specialized policy endorsements to cover high value items. Get a quote and speak with an insurance professional about your Toronto home insurance needs. What Main Factors Determine Home Insurance Cost In Toronto? There are many factors that impact the cost of home insurance in Toronto. Some of the main factors that impact rates are your homes replacement cost, your neighborhood, renovations and upgrades, roof condition, plumbing and electrical system, and your claims history. Are There Different Types Of Home Insurance Policies in Toronto? Home insurance policies are often customized to meet your specific coverage needs. In general, there are four types of home insurance policies to choose from – comprehensive, basic/named perils, broad coverage, and no frills coverage. You can also add endorsements to your policy for additional coverage. How Do You Get Quotes From The Best Home Insurance Companies In Toronto? 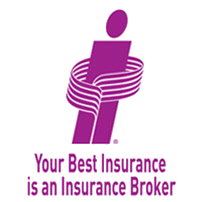 The best way to get home insurance quotes from top home insurance companies in Toronto is to work with a broker. They allow you to compare quotes and coverage options from multiple insurers to find the best rates. What Protection Does Toronto Home Insurance Provide? 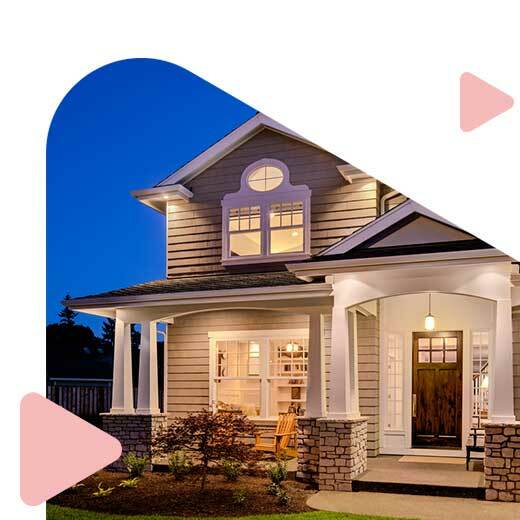 Home insurance covers you in four main areas - personal property, building and detached structures on your property, legal liability, and additional living expenses. Additional coverage for high ticket personal items can be added to your policy. What’s The Cheapest Home Insurance In Toronto? The cheapest home insurance is getting basic coverage for your home. However, even though it’s cheaper, you will have less coverage, lower coverage limits, and you will be exposed to more risk. Make sure you have enough coverage and don’t always shop for home insurance based on price alone. How Do I Get The Cheapest Home Insurance Rates In Toronto? Getting a home insurance quote is the most effective way to get cheap home insurance in Toronto. Comparing quotes allow you to see your options from multiple insurance companies. Does ThinkInsure Assist With Toronto Home Insurance Claims? Absolutely! Our team will happily assist you with Toronto home insurance claims. If you suspect you need to file a claim, give us a call and we will help you determine your best course of action. ThinkInsure takes pride in helping Toronto homeowners save on their home insurance and making sure they have proper coverage on their biggest asset. We update our site regularly with information and tips on insurance savings, safety, news and much more. Oct 5, 2018: Filing a home insurance claim? Get answers to common questions about how it works, what to expect, and get great tips and advice for managing the house insurance claim process. Sep 17, 2018: The more you understand about your homeowner’s insurance policy, the better position you will be to make educated decisions. At ThinkInsure, our insurance experts will help you compare homeowners insurance quotes and save. Jun 4, 2018: You never know when you could experience a loss or need to file an insurance claim. Do you have a home inventory list? Not sure where to start? Use our tips to help you build a thorough and trackable home inventory record. Dec 5, 2017: Learn how to prevent home theft. This blog provides you with some great information about home security, tips to protect your home from burglars, and answers some of the most common questions about home insurance and theft. Are you ready to shop for Toronto home insurance? Work with ThinkInsure to find the cheapest home insurance rates and the best coverage. Getting a quote can save you hundreds on your home insurance policy. Ready to get the cheapest Toronto home insurance quotes? Compare online or call toll-free 1-855-550-5515 and start saving on your home insurance!